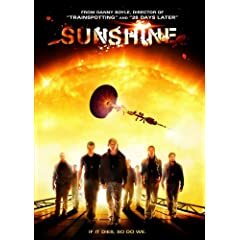 A costume worn by the Icarus II’s communications expert Harvey (Troy Garity) in the sci-fi thriller Sunshine. 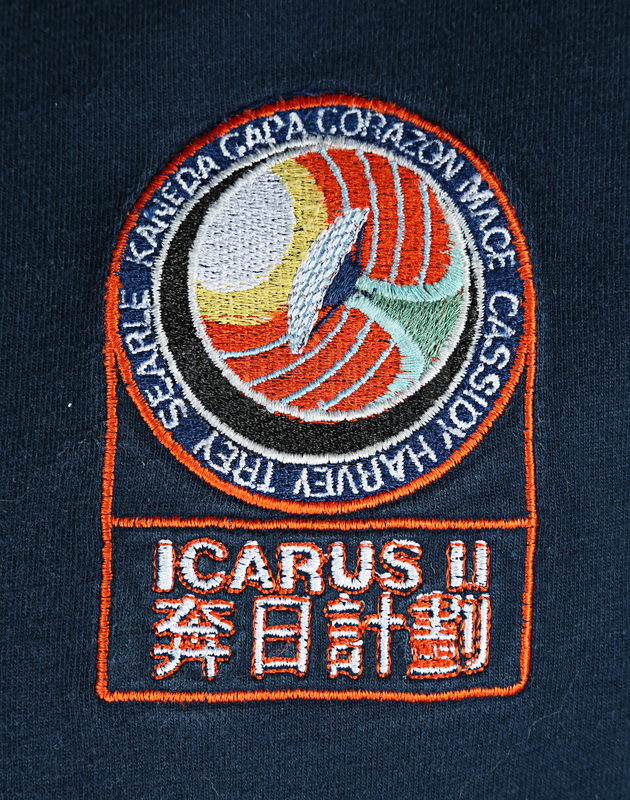 Worn for the scenes aboard the Icarus II when Harvey watched the passing of Mercury and when the Icarus I's distress signal was detected, the costume is composed of a long sleeved blue Icarus II t-shirt (marked as size L/XL) and a pair of custom-made blue shorts. The shorts feature a zip fly with cargo pockets on the thighs. 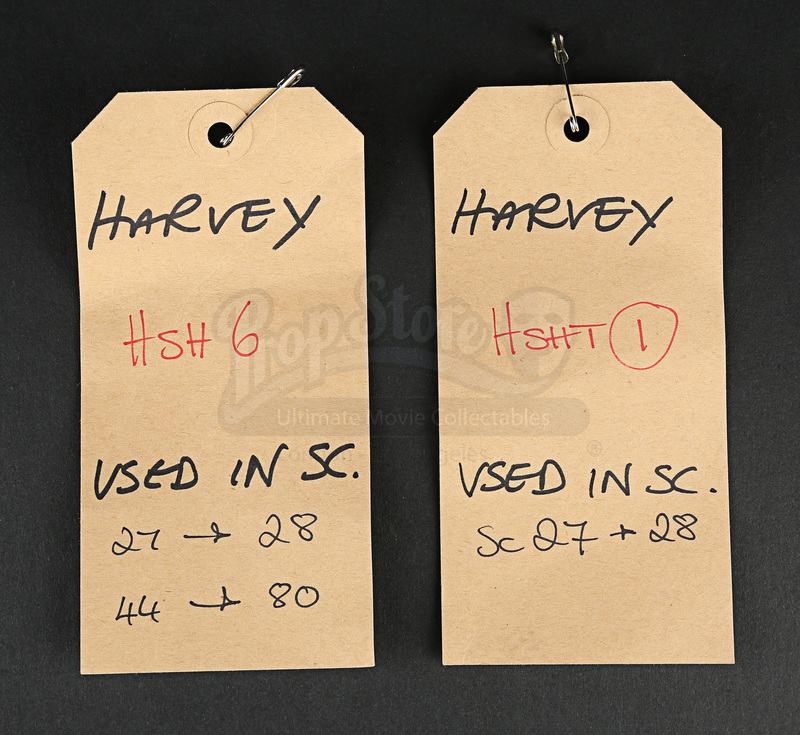 Displaying some minor wear, the costume remains in very good condition and is accompanied by its original wardrobe tags.